On October 29th, we celebrate the most important invention in human history. While the internet may not have been possible without a million other monumental inventions that came before it, it’s hard to find any other invention that has had such a monumental impact on mankind. 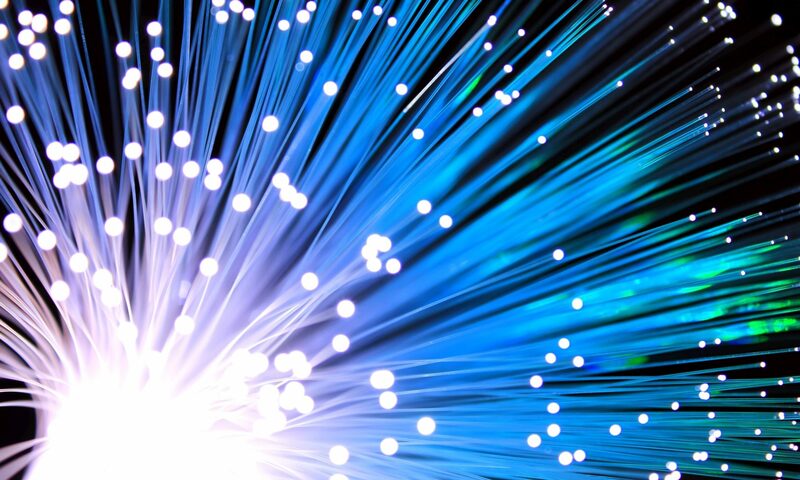 That’s why, since October 29, 2005, we’ve been celebrating the anniversary of the first internet transmission. It is a chance to celebrate the people who helped build the internet, while also giving us a moment to reflect on all the ways that it has changed our lives forever. The internet as we know it could soon come to an end. Ajit Pai, the current FCC Chairman and former Verizon general council, is expected to soon unveil his latest attempt to reverse title II classification. If successful, this move would give unprecedented power to internet service providers like Comcast, allowing them to limit your access to Netflix, Facebook, and any other service that refuses to pay them for preferential treatment. Visit SaveTheInternet.com to learn the facts about net neutrality, or visit BattleForTheNet.com to make your voice heard. Let’s go back to where it all started. The Internet, defined as a remote connection between two computers, was first achieved on October 29, 1969 (just a few months after Neil Armstrong took the first steps on the moon). In the glow of a green monochrome screen deep in the bowels of the computer science department at UCLA, a young graduate student picked up his phone and called the computer lab at Stanford. He is preparing to send the first message over an Internet connection. The men on either end of the phone are Charley Kline and Bill Duvall. While not as famous as Neil Armstrong and Buzz Aldren, Leonard Kleinrock, Charley Kline and Bill Duvall were the key players in the first Internet connection. Working on the ARPANET (Advanced Research Projects Agency Network), a network funded by the US Defense Department that connected four independent terminals installed at ULCA, Stanford, the University of California-Santa Barbara and the University of Utah, Charley Kline attempted to send login information from UCLA to Bill Duvall at Stanford. It almost worked, too. 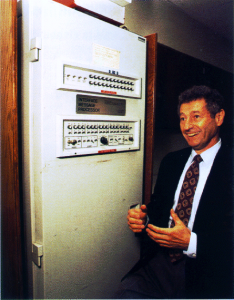 Kleinrock attempted to send the word “login”, and he managed to send “L” and “O” before the connection between the terminals crashed. “So I’m on the phone to SRI and I type the L and say, “OK I typed in L, you got that?” Bill Duvall, the guy at SRI, is watching his monitor and he has the L. I type the O. Got the O. Typed the G. “Wait a minute”, Bill says, “my system crashed. I’ll call you back”. Still, the characters “L” and “O” were the first bits of data ever sent over the first long distance computer network. Under the supervision of UCLA computer science professor Leonard Kleinrock, Kline was able to send the complete “Login” message about an hour later. Note: while Kleinrock holds the honor of sending the first message over the internet, J.C.R. Licklider probably deserves to be called the “father” of the internet, as well as the GUI. You can read more about J.C.R on his Wikipedia page. Did you know that the first website is still online? See it here. The World Wide Web (often used synonymously, but incorrectly, with the internet itself) became possible in 1989. It began with the invention of Hypertext Markup Language (HTML) and Hypertext Transfer Protocol (HTTP) by Tim Berners-Lee, a British scientist at CERN. The World Wide Web project was formally announced on August 6, 1991. Most people had never heard of the Internet before the early 1990s when sales systems started showing up on computer boards. While sales systems were one of the first public uses of the internet, the first online transactions happened nearly two decades earlier. Way back in 1971 and 1972, students at MIT and Stanford used the network to arrange cannabis deliveries. Up until that point, the extent of the internet network was limited to Universities, Government agencies, and select niches of the scientific community. There was a time in the distant past, just after World War II, when the word “Spam” only referred to cheap canned meat. Of course, that canned meat is still around (maybe even a few of the original cans!) but the word itself has been borrowed. Today, when you mention “spam”, it’s a safe assumption that you’re referring to unsolicited email advertisements. Back in 1970, a year after the first Internet communication was sent, the sketch comedy group Monty Python produced it’s now famous Spam sketch. In the 1980s, bulletin board system services (BBSs) were developed by hobbyists to facilitate communication between people with common, and often obscure, interests. Some of these group started Multi-User Dungeons (MUDs) to play an online version of Dungeons & Dragons. It was in these forums that the spam phenomenon began. No one is sure who the first person who used it was, but someone created a keyboard macro program to type the words SPAM SPAM SPAM SPAM SPAM repeatedly every few seconds to imitate the Monty Python sketch. This method became a popular way of shutting new members out of a conversation and making them leave a chat environment so the original members could carry on their conversations uninterrupted. But it was also used to intentionally disrupt certain boards. Star Wars fans often entered Star Trek BBSs specifically to “spam” them. Soon there were other macro created that dumped huge amounts of text on the boards. These macros were all referred to as “spam” within the community. As the Internet grew and email solicitations became a common phenomenon, it was an easy leap for BBS “spam” to lend its name to email “spam”. Today, it’s a catch-all term for anything that qualifies as “stupid pointless annoying messages”. Microsoft’s first big breakthrough system, Windows 3.0, was first released in 1990. However, it wasn’t until the release of Windows 95, the first OS packaged with Internet Explorer, that the internet started making its way into homes across the country. By 2000, over half of the homes in the United States had personal computers. Although there were people coming online, they really didn’t know what the web was capable of. There were chat rooms, email programs, and some basic websites, but nothing that really drove people to interact with the Net past those rudimentary functions. Between 1996 and 2008, the number of websites exploded from 100,000 to over 162 million.This happened for two distinct reasons. First, the generation that grew up with the first personal computers and video game systems entered college and started learning how to use the Internet to network all over the world. This led to the creation of the first big web development programs (such as DreamWeaver), which put web development into the hands of regular people. Second, Amazon.com and eBay.com started showing profits from their web based business platforms. When these profits occurred, other businesses started to take notice and rushed to create web pages of their own. 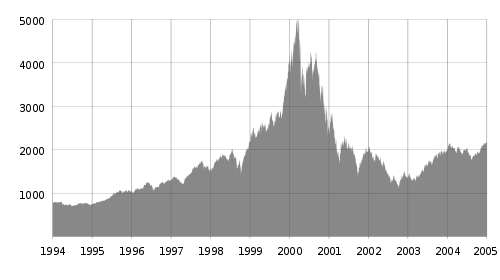 This led to the .com bubble, centered around companies like Webvan, which was driven by one of the most ambitious periods of internet investment to date. Even after the burst of the .com bubble, it’s clear that ecommerce, and the internet at large, shows no sign of stopping. Back in 2010, Google estimated the total size of all data stored on the internet to be about 5 million Terabytes, which is a little more than would fit on a billion standard DVDs. As the world at large continues to adopt the Internet, Google Executive Chairman Eric Schmidt believes that everyone on earth could be online by 2020. That may be a stretch, but not too big of one. Internet World Stats predicts that it will be about 80% by the same year. That’s the billion dollar question, almost literally. There are thousands of factions that want to turn the internet into a billion different things, but it’s anyone’s guess who will win out. If Ajit Pai has his way, the internet could become dominated by a few internet service providers that decide which websites you’re allowed to visit. On the other hand, technologies and platforms like the blockchain, Patreon, and Presearch and could create a better internet for developing nations, artists, and everyday users. No matter how it transforms, and transforms us, one thing is clear: the internet has transformed the world like no other force before it, and it’s just getting started. How Can I Help Make the Internet Better? Consider making a donation to the Electronic Frontier Foundation or Fight for the Future. TheInternetDay.com was developed by Joe Goldstein for Contractor Calls. Be sure to also visit our other Days of the Year site, Air Conditioning Appreciation Days.